Although Whitecap Resources Inc. may have its origins elsewhere, the heart of its business is in Saskatchewan. The mid-sized oil producer launched in 2009 with assets in Alberta, but it soon turned its eyes east to the province next door. The company, which now produces 75,000 barrels of light crude oil per day, has never looked back. Today, Saskatchewan operations make up 60 per cent of Whitecap’s production, and its footprint is set to grow in the years to come. “This past year we invested development capital of more than $279 million and in 2019, 2020 and 2021, we’re estimating approximately a billion dollars of incremental development investment,” Fagerheim says about the company’s plans for the province. Of course, spectacular cloudscapes aren’t the reason energy companies such as Whitecap are expanding operations in Saskatchewan. Simply put: the province is extremely attractive to oil and gas firms. Besides an abundance of natural resources, its government has created a resource development-friendly environment, Fagerheim says. The interests of industry and government align in the province, enhancing profits for energy companies while boosting the economic well-being of the province’s workers and communities overall, he says. 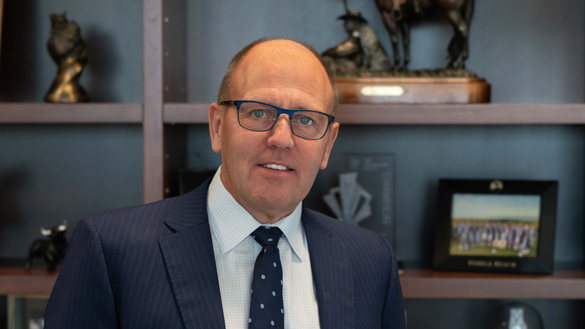 “The government of Saskatchewan has a consistent record of encouraging business development and job creation, along with a sound, consistent fiscal framework,” Fagerheim notes. That includes a favourable royalty regime. “The Saskatchewan royalty holiday program, which provides for a quicker payout of invested capital, is a crucial element to incentivize oil and gas development in the province,” he says. The royalty program encourages companies to start new projects because it helps offset the risk and costs of development through lower royalty costs on initial production. The maximum royalty of 2.5 per cent on the first few years of a newly producing asset allows companies such as Whitecap to recoup their initial investment. Whitecap has a significant presence in the province, operating in three different areas. It is involved in the Viking oil play on the Alberta border that includes the Lucky Hills, Whiteside, Kerrobert and Eagle Lake areas. It also operates near Swift Current, with horizontal wells producing medium crude oil. Its most recent acquisition is a “world-renowned C02 recovery project in Weyburn,” he says. Many of Whitecap’s assets, for that matter, involve cutting-edge industry techniques, including enhanced oil recovery. Fagerheim adds that the company is always looking for new technology to improve production, lower costs and cut carbon emissions. Whitecap’s assets have a lifespan of several decades, and that means the company is in for the long haul in Saskatchewan. After all, it’s not just a resource developer. It’s helping build communities. Central to that is drawing on the province’s skilled workforce. When it comes to its human resources, Fagerheim says Saskatchewan is a tour de force. For one, workers take pride in their work. He points to oilfield services companies in the province as an example. That may not always be the case in other jurisdictions, he adds. Another notable quality of Whitecap’s workforce is that many of the skilled workers the company hires live in the communities in which they work. As Fagerheim notes, employees who live in the communities in which they work generally have a vested interest in doing the best job possible. What’s more, Saskatchewan’s oilpatch workers are highly skilled and trained to use the latest technology to find, develop and extract resources. Fagerheim points to the CO2 recovery project as one example of this. Investing in Saskatchewan has been a sound decision for Whitecap, Fagerheim says. For information about investing in Saskatchewan, visit thinksask.ca.